Minimalist earrings earrings earrings real round mini beads in color white with silver or gold gold-plated connector, in diameter about 4-4.5 mm tall, very round. Very nice smooth surface, wonderful chandelier. 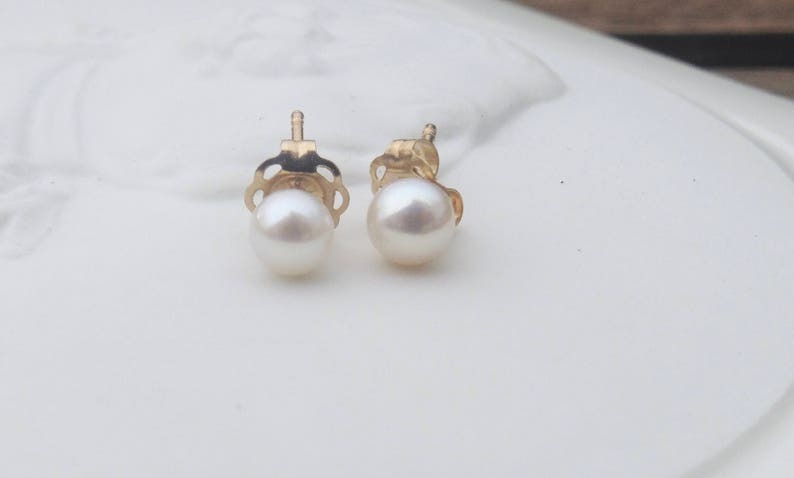 Cute little minis, often also worn as a 2nd or 3rd earring on one side. They are already ready to give away in a small decorative gift box. If you want an embroidered fabric bag This will cost €2 extra, please indicate this when ordering. Material: genuine freshwater zuchtperlen, genuine 925 silver or gold-plated plug. With the gilded plugs I also have rose ´ Gold, please send an extra message. Please indicate your request when ordering without giving me a silver plug. Bead approx. 4-4.5 mm diameter white or pink. There is also a very dark old rose, please for this if desired an extra message.